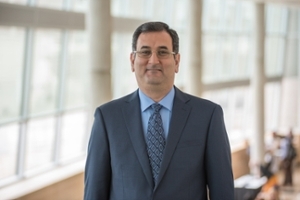 UNMC › Pathology and Microbiology › Faculty › Bios › Baha Abdalhamid, M.D., Ph.D.
Abdalhamid B. *, Reem Almaghrabi, Sahar Althawadi, Ali Omrani. 2018. First Report of Candida auris Infections from Saudi Arabia. Journal of Infections and Public Health. In Revision. * Corresponding author. Reem Aljindan, Nasreldin Elhadi, Alaa Shaikh, Hoda Hassan, Nawar Alabdulqader, Mahmoud Shorman, Abdalhamid B. * 2018. First Description of Plasmid Mediated Quinolone Resistant Genes in Salmonella Isolates from Saudi Hospitals. Saudi Medical Journal. In Revision. * Corresponding author. Abdalhamid B. *, Samar Albunayan, Alaa Shaikh, Nasreldin Elhadi, Reem Aljindan. 2017. First Prevalence Study of Plasmid Mediated AmpC β-lactamases in Enterobacteriaceae Lacking Inducible ampC from Saudi Hospitals. Journal of Medical Microbiology. Sept;66(9):1286-1290. * Corresponding author. Abdalhamid B. *, Nasreldin Elhadi, Samar Albunayan, Khaldoon Alsamman, Reem Aljindan. 2017. First Description of Aminoglycoside Methyltransferases in Extensively Drug Resistant Klebsiella pneumoniae Isolates from Saudi Arabia. Journal of Medical Microbiology. July;66(7):859-863. * Corresponding author. Raghda Yahya¥, Wafaa Alyousef, Alanoud Alshami, Abdalhamid B* ¥. 2017. First Case of Pneumonia Caused by Cupriavidus pauculus in an Infant in the Gulf Cooperation Council. Journal of Infections in Developing Countries. February 28; 11(2):196-198. * Corresponding author. ¥ Authors have contributed equally to the manuscript’s writing. Abdalhamid B. *, Nasreldin Elhadi, Khaldoon Alsamman, Reem Aljindan. 2016. Chryseobacterium gleum Pneumonia in an Infant with Nephrotic Syndrome. IDCases 5 (2016) 34-36. * Corresponding author.